HAIR GROWTH Botanical Renovation Scalp Treatment works with the balance of your natural physiology. This scalp treatment comes in oil form and it works to stimulate the growth of hair by bringing blood flow back to dormant follicles by using the natural qualities of specifically selected botanical ingredients to work together synergistically. This premium treatment improves scalp and hair health by encouraging hair follicles to remain in their growth phase. It can be used as a standalone product or with our other natural hair products – anti-hair loss shampoos and deep reconstructive conditioners. Boosts natural hair growth by 145%. Reduces hair loss by 50%. Increases the time hair remains in the growth phase. 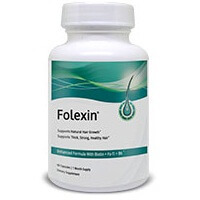 Improves hair follicle health and make dormant hair follicle to start functioning. Provides more volume, bounce and shine to thinning hair. Improves scalp health and reduces scalp dandruff disorder. Returns shine to your hair. Before using the product you need to make sure you are not overly sensitive or allergic to any ingredient. It should be used exclusively on scalp area. It should not be applied to an open wound or dry, cracked skin. Avoid contact with eyes. To see new hair growth, it will take at least 6 to 10 weeks of treatment. Healthy hair follicles that are not producing hair need to rest 2 to 4 months before cells start dividing again and new hairs begin to grow. 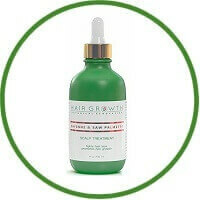 These HAIR GROWTH treatments are designed to stimulate existing hair follicles that are healthy enough to produce hair.